Throughout October, most of the battleground states were showing fairly steady leads for one candidate over another (mostly for Hillary Clinton), though their margins weren't beyond the lower single digits. Still, it's enough to give us an inkling of what to expect Tuesday night. However, one state remained evenly divided between Clinton and Donald Trump to the very end of polling: Florida. With 29 electoral votes at stake, Florida has the third-largest haul in the race, tied with New York. Florida's results will either help solidify a likely Clinton win or make the race more competitive as the night wears on. When will Florida's results be in? Most polls in the Sunshine State close at 7 p.m. ET, and we can expect results to begin pouring in shortly thereafter. Some polls in Florida's Panhandle don't close until 8 p.m. ET. As Bloomberg reported, Trump has an advantage in Florida's Panhandle, which leans more conservative than many other parts of the state, so we should keep that in mind while taking in the results from 7 p.m. on. But if the results are very close, which polls indicate they might be, we might not expect to get official results until well after Election Day. 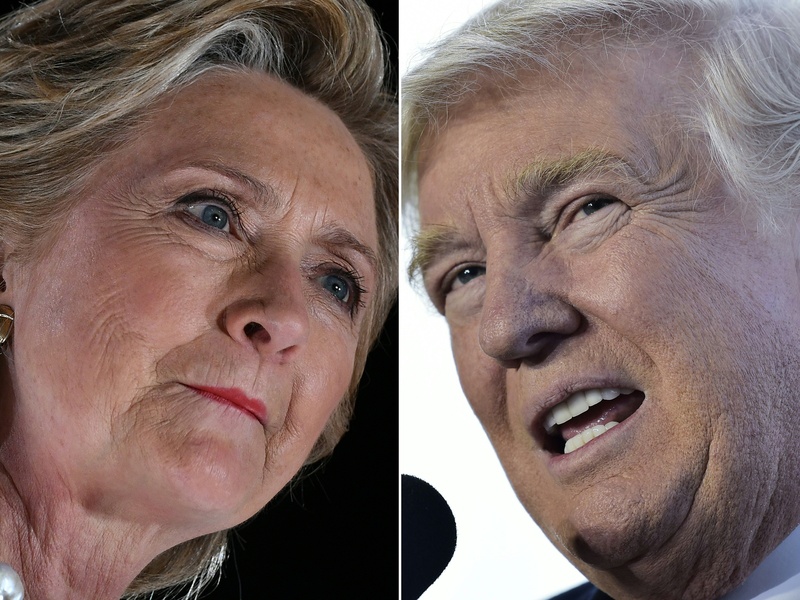 Real Clear Politics' polling averages leading into Tuesday show Trump and Clinton tied at 45.6 percent each. Election results won't likely match that perfectly, but a super-tight race could lead to a recount in the state, which could delay official results for weeks. If the margin separating the winner of the state from the defeated is 0.5 percent or less, an automatic recount is triggered by state law, as occurred in the 2000 race between George W. Bush and Al Gore. Paper ballots are then re-read by automatic equipment. Then, if results are only 0.25 percent apart, a manual recount is triggered. Otherwise, a candidate can go to Florida's Supreme Court and ask for certain types of recounts, such as county-specific recounts or recounts of ballots on which no presidential vote was picked up by voting machines. The U.S. Supreme Court can either uphold or knock down the state court's decision. Preliminary results from the most hotly-contested state will begin coming in at around 7 p.m. ET Tuesday night, with more from Florida's conservative Panhandle after 8 p.m. But, if those results are extremely close, as polls suggest they may be, we might have to wait weeks as in 2000 for official results from this nail-biter state.